LG's UltraFine 5K monitor, built in collaboration with Apple. The analyst shared the details in a research note late Sunday evening in which he provided no further details on the design of the Mac Pro, but said the 31.6-inch Apple 6K3K display will feature "outstanding picture quality thanks to its adoption of the Mini LED-like backlight design." Pros have been clamoring for an updated Mac Pro after the last left few options in terms of upgradability. The promised design will please many, but not all, of those critics. A 6K3K display refers to standard 6K resolution of 6,144 x 3,072 which at a 31.6-inch diagonal size will yield a pixel density of roughly 217 ppi. The 15-inch MacBook Pro has 221 ppi, with the iMac 5K coming in at 218. Apple discontinued its previous display -- the Apple Thunderbolt Display -- in June of 2016 with no successor in sight, instead ceding the market to third parties. Reports still trickled out indicating Apple was indeed working on new displays, possibly with an integrated eGPU. During the time since, Apple has partnered with LG on a pair of high-end monitors that while impressive, left much to be desired in the aesthetics department. 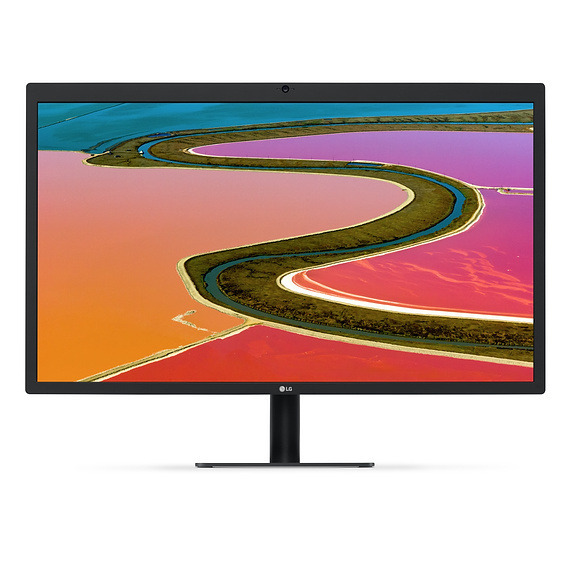 The LG UltraFine 4K and 5K displays connected over USB-C and Thunderbolt 3 respectively. They did support many of Apple's features normally reserved for its own hardware such as TrueTune. In April 2017 Apple first teased its newly redesigned modular Mac Pro. At the same time, and reiterated when the iMac Pro shipped to customers, a new pro-level display was also said to be in the cards. In Apple's stead, third parties monitors have been picking up the slack. AppleInsider recently went hands-on with the BenQ Thunderbolt 3 HDR monitor and the LG UltraWide 5K2K Thunderbolt monitor. In the same, note, Kuo also said Apple plans to release a new 16- to 16.5-inch MacBook Pro targeted at professional designers, gamers, and so forth. What is a “6K3K” display? That would be an extraordinary product if it manages to produce 6K3K display with Mini LED. Exactly - will this be yet another proprietary 'bag of hurt' from Apple like the 5K displays ? My vote would be for 40" 4K @ 110 dpi and 40" 8k at 220 dpi pro retina - this would tie in with cinema, thunderbolt, scaled retina, apple tv 4k (8k?) and so much more... After using the former (40" 4k) I find 27" anything surprisingly ineffective and inefficient in comparison. ...and please a mini that has a discrete gpu to match the upgraded cpu, and all with flexible internal industry standard upgradable storage & ram options... 'Pro' computers 'for the rest of us'...? There should be a second version of the display with enough of an eGPU to allow it to be driven by a Laptop or long lenght thunderbolt cable. What graphics card would they throw in a pro/gaming 16.5" MBP? An updated Vega 20? A mobile RTX 2080? Apple doesn't support NVIDIA graphics anymore. So it would have to be AMD. I would think Apple would just use Vega20 graphics as its used today. Apple is well known for never using the latest and greatest graphics, even in its newest products. For the market it would be aimed at...it doesn't matter how much it costs. It wouldn't be aimed at a consumer even though they will be bitching up a storm about how expensive it is. The display sounds like Apple is using the same DPI from their 5K display and applying it to a 31.6” monitor, which will end up to be pretty to close to 6000x3000 pixels. The rumored 31.6” monitor is a rather precise number. Sounds like Kuo found who is making the display, if true. Sounds beautiful. We will love everything about it but the Price. I'm expecting $1,999. Can I hope for a laptop with a greater travel keyboard? A new upgradable Mac Pro is too late. Many professionals have given up on Apple's pro line, as the company focused more and more on consumers and prosumers. - xserve (killing this, harmed the 1U render farm) . I used to run a render farm using these 1Us . Also another VFX company with 500 artists used 1U supermicros with PCoIP cards to display their linux/Windows workstations to Vancouver. Not having a 1U also hampered the ability for PCoIP options for VFX houses. Avid or Adobe because of this. Not having a matte display option for professionals. Lack of fine control (RGB sliders) on the hardware monitor to color calibrate, not just in software. Speaking from experience from an all Apple VFX shop in 2010-2012. After that it was hard to convince ANY VFX shop to be all Apple. It was nearly impossible. Pity Kuo had little to say about the iMac. ...exactly - would it be too much to ask for compatibility with the rest of the planet...? Would a large 4K display serve both budget conscious pros (students) and Apple TV, while an 8k serve pros benefiting from retina resolution and future proofing...? 6K? Is this 'where the puck is going'? ...exactly - is this simply more of the same proprietary incompatibility with the rest of the planet...? While it will probably be connected by the not-proprietary Thunderbolt 3, DisplayPort 1.4 has a max resolution of 7680x4320 at 60Hz. The last proprietary connector on an Apple display was ADC. DisplayPort 1.4 has a max resolution of 7680x4320 at 60Hz. So with that resolution DisplayPort 1.4 could potentially go up to 8K. Too bad we are going up to 6K next. Would any existing eGPUs support a 6K monitor? How about the "BlackMagic eGPU Pro"? Since Apple helped make that eGPU, and Apple knew 6K was coming, perhaps it's capable of 6K? You can enable 4K on a 15” by simply using “more space” option. I think that “advanced backlight” would be local dimming, which already used by many HDR monitors. Put it simple, it’s grid of LED which can be turned off individually, therefore achieving true blacks when needed. The downsides are size, complexity, power and cost. I also don’t think there are any mobile devices with local dimming. you take yourself too seriously. Higher resolution always means more power with similar technology, if 6K is true, it can still be a good balance.